The Copper and Black Earth MOVA Globe is an earthy and dramatic take to the traditional globe design. The vivid contrast between the robust copper land masses and the ebony black oceans makes for an arresting composition that’s simultaneously raw, lustrous and dignified. 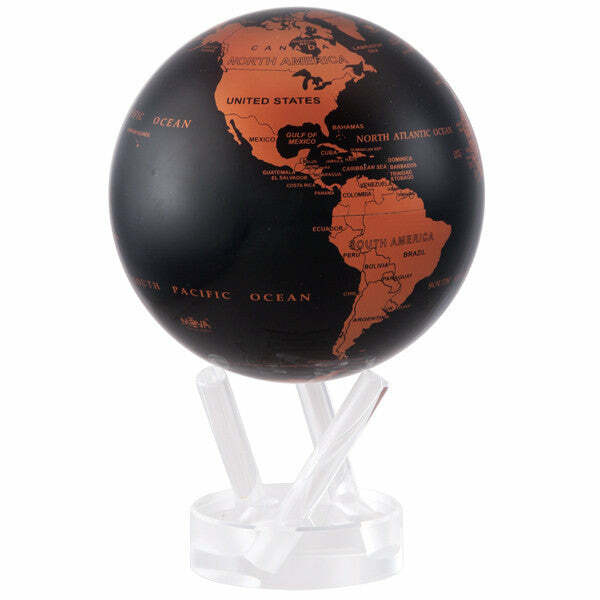 The globe comes packaged with a 3-pronged acrylic base that accents the design on any desktop.